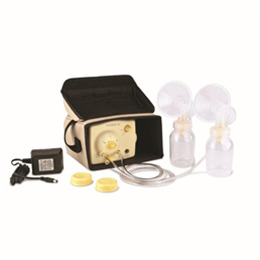 This personal use Breast Pump can be used for single and double pumping. This Breast Pump offers AC operation and a double Pumping kit with 24mm Personal Fit Breastshields and 2 Breastmilk bottles with lids. Compact motor carrying bag with mesh pocket for easy transport and organization. 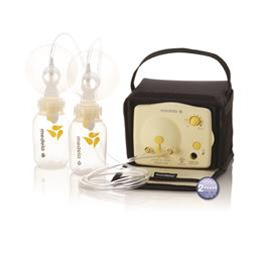 * PLEASE NOTE the Medela Pump in Style Starter (57081) is being replaced with model (101035078). The Pumping action is the same and either model is available while supplies last. Power Supply: Class 2 wall mount transformer, 120 VAC/60 Hz, UL CUL.